Andrew Landry built off an opening 9-under 63 on La Quinta Country Club to shoot 7-under 65 in Friday’s second round of the Career Builder Challenge on the Nicklaus Tournament Course in California. At 16 under 128, Landry leads by one from Spain's Jon Rahm (62-67) as he chases his first US PGA Tour victory. Landy missed just three greens in Round 2, and was perfect in scrambling. He has yet to card a bogey in 36 holes. 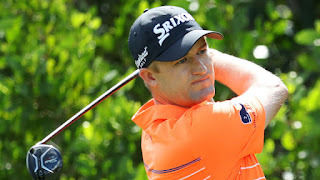 Russell Knox (pictured) matched the second-round best score of eight-under 64 with no bogeys and birdies at the second, third, fourth, sixth, seventh, 13th, 15th and 18th in halves of 31-33. The man from Inverness - now Florida-based - is T10 on 133. So far this season, Landry, ranked No. 184 in the world, has two top-10s – T-4 at RSM and T-7 at Safeway – but also two Missed Cuts and a Withdrawn in six starts. He graduated from the Web.com Tour last season, and was third in priority ranking among Web Tour grads entering the season. CHASING: A day after shooting 10-under 62 on La Quinta Country Club, Jon Rahm fired a 5-under 67 on the Nicklaus to move to 15 under 129, though he also fell to solo second. Jason Kokrak, who has made five of six cuts this season and has already equaled his top-10 total from last season (one), is solo third at 14 under after a 67 of his own on the Nicklaus. “I’ve given myself a lot of close opportunities,” Kokrak said. 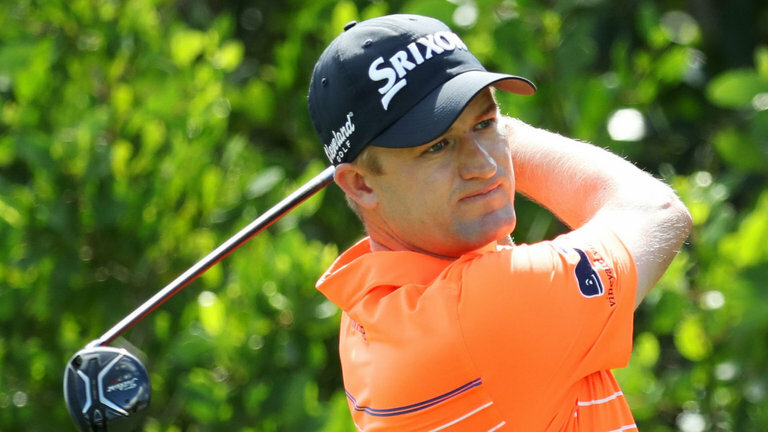 Zach Johnson, Michael Kim and Martin Piller share fourth at 13 under, but Piller is the only one of three to be playing La Quinta Country Club on Saturday. SHOT OF THE DAY: Harold Varner III holed out a 6-iron from 192 yards on the par-3 third hole on the Nicklaus Tournament Course. CHIP SHOTS: Along with Piller, Austin Cook and Adam Hadwin are the other two players in the top 10 who will play La Quinta on Saturday. The course has played to a scoring average of 68.47 so far. Cook, who won the RSM Classic last fall, is 11 under, as is Hadwin, who last year fired a third-round 59 on La Quinta. … Phil Mickelson is 6 under after a second-round 68 on the Nicklaus. Also at 6 under is local amateur Charlie Reiter, a USC signee, who shot 70 on Friday on the Nicklaus. 129 Jon Rahm (Spain) 62 67. 131 Zach Johnston 67 64, Michael Kim 67 64, Martin Pller 64 67.